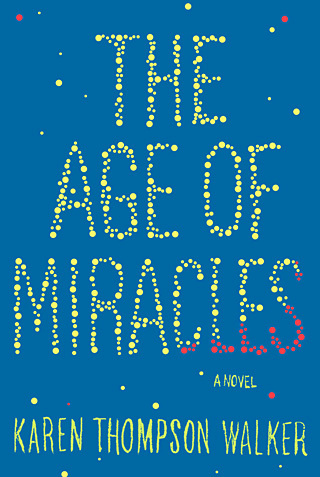 The Age of Miracles is an apocalyptic tale of the near future about the slowing of the earth’s rotation. The title, however, refers to our protagonist and narrator Julia who is coming-of-age in this terrible time. “This was middle school, the age of miracles, the time when kids shot up three inches over the summer, when breasts bloomed from nothing, when voices dipped and dove.” As minute—and soon hours—are added to each day, Julia finds herself concerned more about getting her first bra and flirting with boys. Author Karen Thompson Walker explores the usual trials and tribulations that teenagers experience when growing up but sets them against the haunting backdrop of a dying world. Julia tracks the changes she sees in those important to her, never sure how much of it is because of the slowing. Her parents’ marriage is deteriorating; her crush—Seth—never seems to notice her; and her Mormon best friend quickly distances herself from Julia. As society crumbles around her, Julia never quite succumbs to the hysteria that she sees around her. Walker maps out the devastating effects of the slowing in a frighteningly real way. As hours of daylight and nighttime continue to increase, crops begin withering, animals start dying off, power supplies are used up. Society itself splits apart as the government forces everyone to adhere to clock time (the 24-hour day is reinstated, regardless of how light or dark it is outside) causing fractions of people to form their own real-timer societies (where they observe days and night based on the sun). This is a vividly created doomsday, and Julia has an engaging tone as she records her point of view of the world. It’s easy to get lost in this powerful novel, quickly eating up Walker’s succinct, elegant prose. Miracles is well-crafted, well-plotted and will no doubt earn its place as one of the Top 10 Books of 2012. Harold Fry receives a letter from an old coworker informing him that she is dying. Despite not having spoken with Queenie Hennessy for 20 years, Harold is so moved by the letter that he finds himself walking to her in an unlikely pilgrimage. He chats with a girl at a garage who plants the seed of faith in Harold, causing him to believe that if he walks across the country of England to her hospice that Queenie won’t die. His pilgrimage takes him on an extraordinary journey that tests his faith not only in higher powers but also in himself. Long days of a walking alone leave Harold very introspective, examining his life to date and remembering the mistakes he has made. Harold’s sheer kindness affects the many strangers he meets on his pilgrimage, but it’s his absence from his wife Maureen that has the biggest impact. Left alone, Maureen begins to doubt her life with Harold. She, too, remembers the past and the drama surrounding Queenie’s abrupt exit from Harold’s life and the effects of their son’s tumultuous life on their own marriage. Although Harold began his pilgrimage for Queenie, his walk ends up having a more profound effect on his marriage with Maureen. Despite passages of overindulgent optimism, Rachel Joyce has crafted an uplifting tale about overcoming grief and regret. As a reader, you’ll be cheering Harold along on his journey. His moments of doubt, when he feels ready to quit the pilgrimage, will have you questioning your own opinions about faith and its power. Much of the first half of the book drags, but once you get inside the mind of the characters, it becomes a more engaging novel. Although it is easy to foresee the plot twists that Joyce throws out in the end, when the secrets come spilling out, the book is more about the journey than the destination. 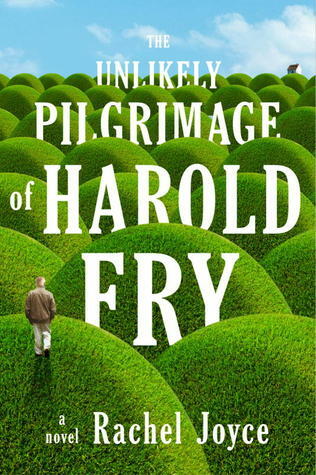 And Harold’s journey is packed with a powerful message for the sentimentalist in every reader. Immortal City is the latest book to capitalize on the supernatural teen book series craze. This one is blessedly free of vampires and werewolves and chooses instead to focus on Angels. 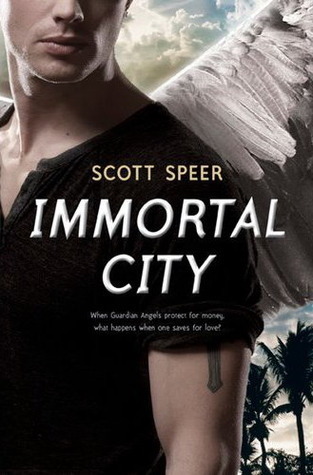 With the exception of Cassandra Clare’s The Mortal Instruments series, Angels are decidedly lacking representation in the pop culture pulse, giving author Scott Speer plenty of freedom to create his own unique world. In that respect, he succeeds. Angels have always been intervening in the human world, but in the last 100 years they have become a part of the public consciousness. Instead of a pop culture obsessed with actors and reality TV stars, they are obsessed with Angels. And none of them are hotter than Jackson “Jacks” Godspeed who is about to be the youngest Angel to earn his Guardian title (Guardian Angels are hired by the wealthy to save them in case of accidents). Despite living in an Angel-obsessed world, Maddy Montgomery is completely oblivious to them. She lives with her uncle Kevin and works at his diner while finishing out her final year of high school. Her best—and only—friend Gwen tries to socialize her, but Maddy is stubbornly resistant. So, when Jacks ends up at the diner and sparks fly between him and Maddy, she has no idea what she’s about to get into. Speer’s world is fully realized, and he has plenty of alternate history concerning the legacy of Angels to draw upon in his storytelling. A lot of the fundamentals are compulsively repeated throughout the book, but since he’s setting up a series of books it’s fairly forgivable. Not forgivable, however, is his uninspired love story. Maddy is insufferable—or as Jacks says, “impossible”—in her moral rectitude and low self-esteem. She never feels good enough to be with Jacks, despite how much he is clearly falling for her. Even by the end of the book, I doubt her ability to grow into a strong female character (but maybe with Jacks’ persistent encouragement she might). Their relationship quickly devolves into that intense, overwrought life-or-death romance that is seen in so many other series (i.e. Twilight’s Bella & Edward, TMI’s Clary & Jace, etc.). It immediately becomes uninteresting and uninspired, making the middle portion of the book completely unbearable. However, it is in the beginning and end of this book where Speer’s skills shine. As a movie and music video director (his most recent film was Step Up Revolution), Speer has a very cinematic style of storytelling. This novel would make a far better movie—or TV series on The CW. There are unique and exciting twists, turns, setups, and payoffs in the front third and final third of this book that—almost!—make up for the horrific middle third. One spectacular sequence involves Maddy and Gwen driving a Ferrari in a car chase. Gwen is definitely a great and underutilized character. It’s clear he has talent, but he needs to hone that originality. He has a lot to say about Los Angeles (aka Angel City—the Immortal City), and a clearer focus on his criticisms of the city (along with celebrity culture in general) and his exploration of Angel culture would help this series stand out. The last few twists of the book show he at least has a vision for this series; hopefully he grows as a writer and makes the series great.